A man walking to his car was caught in crossfire outside a McDonough nightclub early Sunday. McDonough Police are looking for two men who were involved in a shootout early Sunday morning. According to Major Kyle Helgerson with McDonough Police, the incident began as an altercation at the Traxx nightclub on Georgia 155 near Interstate 75 at about 3 a.m. which spilled into the parking lot. During the incident, police said two men were shooting at a third man. None of the three were injured, but another man who was going to his car was struck and killed. 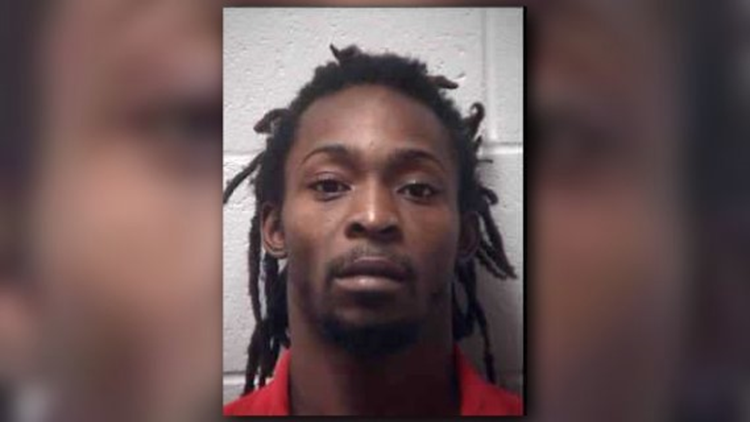 The Henry County Coroner's Office later identified the deceased man as 31-year-old DeCoby Barlow of Flovilla, Ga.
Jalon Edwards was arrested in connection with a fatal shooting outside a nightclub in McDonough, Ga., on Sun., Dec. 9, 2018. One of the two gunmen was arrested. Police identified him as Jalon Edwards. He is being held at the Henry County Jail. The other two men have been identified and are still being sought by authorities.